By the time I’d actually bought all the books and finished the Jill series, I had realised that there were other ways of looking at Jill, as the versions I found included some of the old Armada paperbacks, illustrated by Caney. Caney’s Jill was quite a different creature to Bonar Dunlop’s – much less sophisticated but with a charm all her own (and Armada did add to Jill’s sophistication in their publication of Rosettes for Jill by removing her plaits from the illustration to give her a smarter, shorter, hairstyle). Jill is much sassier in Caney’s illustrations than in the Bonar Dunlops. There’s a lot of character there, which there perhaps isn’t in Bonar Dunop’s Jill, who is rather more of an indentikit 1960s girl having a holiday adventure. I still like the Bonar Dunlop illustrations, though. They have a lot of dash. 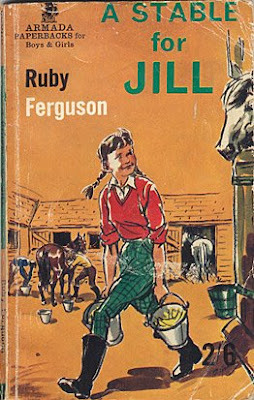 Elisabeth Grant, the only other illustrator who provided internal illustrations, produced a Jill who is a more traditional girl – though very few people will have seen those illustrations as they only graced one edition (the laminated hardbacks of the 1970s), with a frontispiece and no other internal illustrations. Oh dear. What my grandmother would have called a gawd-help-us. There were more to come. Armada used Caney illustrations for most of their paperbacks, but not all. 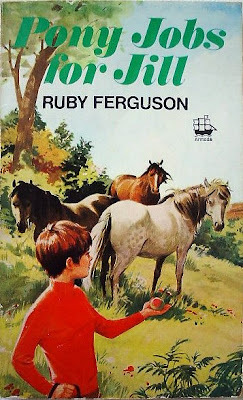 Mary Gernat was an illustrator used very widely by Armada and Dragon Books in the 1960s. Her sketch style suited books in which there was a lot of action. 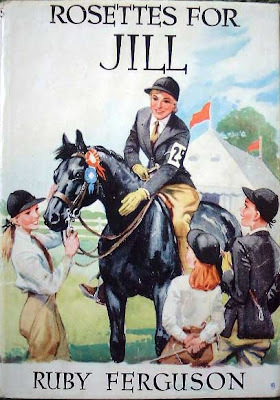 Her two Jill covers are perhaps not a 100% success: Jill on A Stable for Jill looks short and awkward, and Rapide and Black Boy look more like horses than ponies on Jill Has Two Ponies. Peter Archer was another illustrator widely used by Armada, and he did one Jill cover. 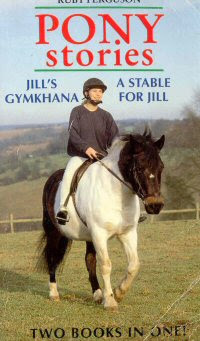 I think his Pony Jobs for Jill has to rank amongst the worst Jill covers. Jill looks as if she's made of wood. Armada also used an uncredited artist - far superior to the ones above, in my opinion – on some of their later 1960s printings. I have no idea who illustrated these four covers, though I have at times thought it might be Constance Marshall or Elisabeth Grant. I really don't know, but if anyone does, or has any other theories, I would love to hear them. but there is nothing at all washing round in my sentimental soul to save this one: cutesome, anatomically suspect, and oh, the eyes of the pony bottom left. My daughter would sell her soul for eyelashes like those. The poor thing looks like an early try out for My Little Pony. At least this had a connection with what went on in the book. Bearing in mind Black Boy is supposed to be good enough to win showing contests, I am a bit puzzled by the piebald on this compilation, who is a bit of a podge. In the 1990s, Jill covers returned to a pictorial cover style by Adrian Lascom, and they are very poor indeed. The Fidra editions are a considerable improvement, as after 50 years in the piebald wilderness, Black Boy is again black. Fidra used photographic covers as a direct appeal to today's market. But inside, everything is just as it was in the first edition, and that includes the Caney illustrations. Jill hasn't always been well served by her illustrators. Childhood fondness can only excuse so much: we'll probably never know if Bonar Dunlop was a prime example of an illustrator not reading the book, or whether some bod at Knight had a precious piebald as a child and decided to make him live on in a newly piebald Black Boy, but I like looking at how Jill's changed over the years. May she continue to do so. Originally published in 2009, and updated in 2018. I really enjoyed this article - thank you! Very interesting! I want to go and find my Jill books and gloat over Caney. I'd never seen those most recent pictorial covers before; just as well, really. Ramblingfancy - thank you very much. I'd love to see those pictures if you can manage to get them photographed. Two books in one? Looks like two ponies in one. Jane, I read your article on illustrators only recently and I must say how much I enjoyed it. It had me laughing out loud (with my husband casting quizzical, annoyed glances in my direction), especially the bits about the Jill books (I'm especially thinking of Black Boy - aka the 'piebald porker'). Wonderful therapy at the end of a long, tiring day! Thank you Marie, and I'm sorry to be so slow in acknowledging your comment! Interesting. I always imagined Black Boy as black, never as piebald. 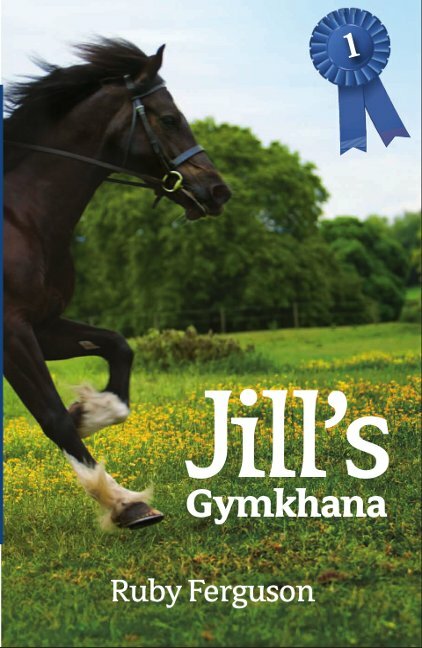 I can't remember which of the editions I had, although I read all the books when I was a child, but I do remember the Knight cover of Jill's Gymkhana, so maybe that was the first I read. @Sheila Moore - you're right - but it was just in one book, and then it changed smartly back again. Why, I guess we'll probably never know. Anne - I think it was probably particularly confusing if you read Jill in the seventies, as I did, as there were likely to be sixties editions still available which had Black Boy as black. Jill's Gymkhana in WD Underwood was the first one I read - was that the Knight edition you read?